Swift Performance is relatively new but growing quickly given the results users are seeing. The plugin has been activated by over 10,000 users and a has healthy 4.3 / 5 rating on WordPress.org (that’s for the ‘lite’ version). The pro version counts over 1,000 happy customers. In this overview, we cover its main features and share a quick test we’ve done, as well as interview its author, Peter Molnar. He was kind enough to offer readers of the WP Hosting blog an exclusive 30% discount – see below. A couple of words about the Plugin Organiser function, which allows you to turn off plugins for specific pages where they are not needed, which is both clever and useful. Plugins are a big part of WordPress, however sometimes not properly written plugins can cause performance issues. With Plugin Organizer you can disable plugins on certain pages, and let plugins run only where it is really necessary. You can set URL match, Frontend, Admin Pages, AJAX action rules and exceptions to get the best results. Related to this is another selling point: you’ll be able to remove other plugins you are using for optimisation, such as image optimisation and lazyload. Swift Performance claim that its plugin replaces up to 5, which is a form of optimisation too. 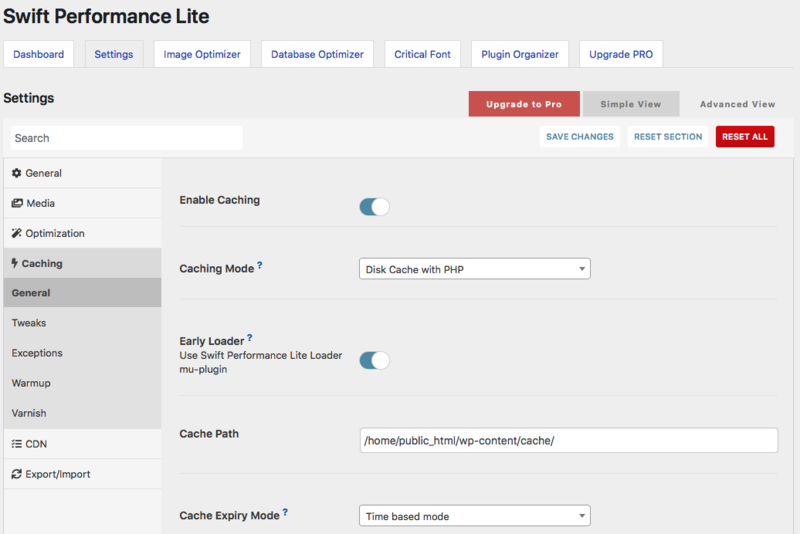 The lite version works as well as any other of the well-known performance plugins. The pro version goes a number of steps further and should definitely be considered by any website owner that values performance. The pro version also includes: no ads and continuous plugin updates, schedule DB Optimize and extended WooCommerce features. We did this in 5 minutes by installing Swift Performance Lite and testing with the settings ‘out of the box’. Our test site featured the plugins that a typical publiser would want use: Elementor, Advanced Ads, Classic Editor, Contact Form 7, Cookie Notice, Ele Custom Skin, Google Tag Manager for WordPress, Pods, PublishPress, Really Simple SSL, Redirection, SEO Press and Tag Pages. While the Total Page Size wasn’t decreased dramatically the number of Requests was more than halved, resulting in a 30% increase in performance. No doubt we would be able to shave more time off using the pro version. Disclaimer: just like with purchasing shares and financial products… do your own research. Try our the lite version for yourself and check other (reputable) reviews and comparisons. The team at SWTE Group have done a great job with the interface too, with clearly organised functions and labels, as well as a useful wizard guiding you through the key settings when you activate the plugin in the first place. Also, when you deactivate it you’re given the option to save settings, the warm-up table and log files. Here’s the Settings screen where you can fine-tune some of the core functions. When did you start Swift Performance started? Where did the idea come from? I used to work for a mobile betting website and given Pay Per Click as were very expensive we started optimising for speed to reduce the bounce rate and increase conversions. After this, I worked on a WordPress theme called Fevr and wanted to make it the fastest one on the market. Fevr’s performance module was the very first version of Swift Performance. What does Swift do? Why is it different? There are many optimizer/cache plugins on the market, but Swift is an all in one solution — it can replace 4-5 plugins. Also Swift has some unique features, like Async Script execution, Smart Youtube Embed, Critical CSS on the fly, etc. Have you measured how effective Swift is? Perhaps via a ‘before and after’ test? Of course, we made a lot of tests, but there are many factors involved.. the theme, plugins used and content. With proper configuration, the first contentful paint almost always can be between 0.3-0.6s. We have a lot of individual customers, like bloggers, shop owners, but also a lot of agencies are using Swift (thanks to the developer license option). What are your plans with Swift in the future? What marketing tactics have worked well top promote Swift? To conclude, what’s the best business advice that you’ve ever received? Hear the customers’ feedbacks, and develop… continuously. 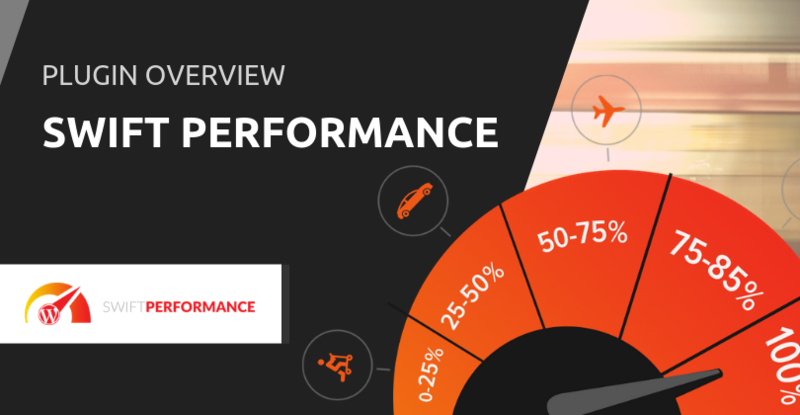 Get 30% off Swift Performance Pro for life! Peter and his team have put together a solid product by thinking about what the customer needs and real-world benefits increased performance can bring. Having worked for a gambling co. and competed for very expensive keywords he knows very well that shaving a couple of seconds off page load time translates to increased sales, which is the same point we make when talking to our WooCommerce hosting customers. We thank Peter for answering our questions and generosity: you can get 30% off Swift Performance Pro for life – see above. Swift Performance were kind enough to give our readers an exclusive discount. Just sign up for our monthly newsletter and we'll email you the discount code. You'll be able to unsubscribe at any time.